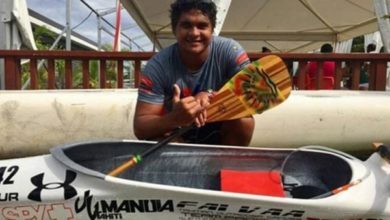 Two talented ocean paddlers, Australian Sam Djodan and Tahitian Kevin Jerusalamy, put on a powerful display of ocean paddling to take the main spoils at the fifth annual Zest Brokers Poor Knights Crossing held at Tutukaka, Northland. 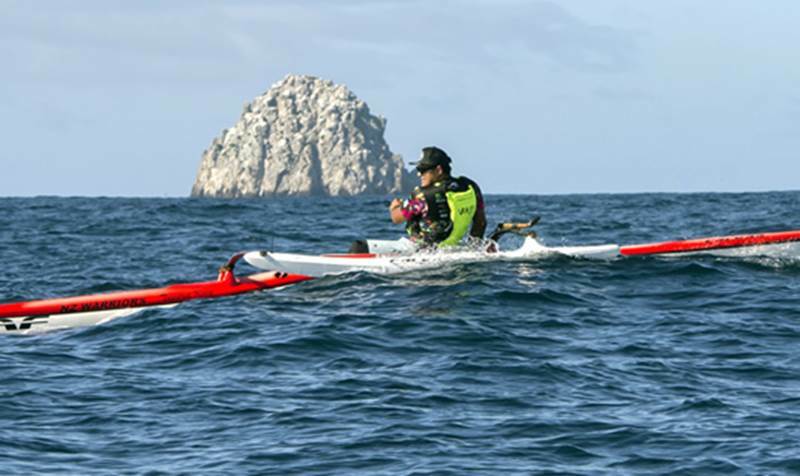 Djodan (above) led from start to finish on his ocean ski at the arrowhead of the 70-strong paddling fleet, showing his class on the 25km course from Tutukaka Harbour to the finish line through the Southern Arch at the Poor Knights Marine Reserve. 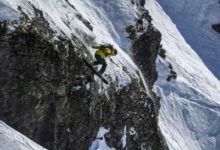 He was three minutes clear of the second placed ocean ski competitor, former race champion Simon Longdill of Auckland when he paddled through the stunning natural rock archway. Jerusalamy (above) , a highly ranked waka ama paddler from Tahiti, was locked in a titanic battle with Kaitaia’s Tupuria King from start to finish, and only managed to finish less than a minute in front to win the waka ama division. It was a brave effort from Jerusalamy who had struggled in relatively cold conditions. 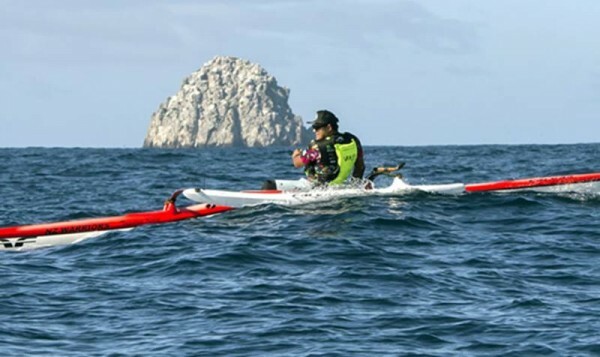 He and King were paddling side by side for the entire race until the last 500 metre dash to and through the archway. Race director Tim Eves said the event had lived up to high expectations with the battle in the waka ama division particularly engaging. 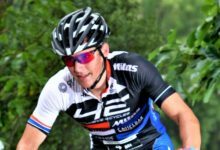 “King and Jerusalamy were going at it the whole way across the course and there were some fierce battles throughout the fleet. 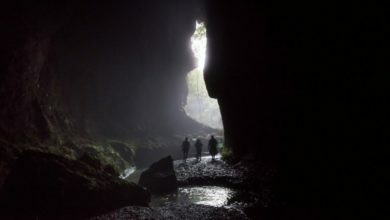 The SUP paddlers really impressed with their ability to handle quite technical seas,” Eves said. 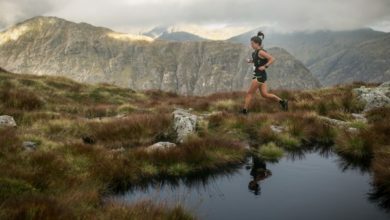 “The joker in the pack was Sam (Djodan) though as he arrived onbly 10 minutes before the race started, hurried onto the water then cleared out looking very, very comfortable from start to finish,” he said. Challenging conditions saw the fleet enjoy a south westerly tailwind for the first 45 minutes before the wind shifted to west north west and started pushing the race fleet further south than they had anticipated. 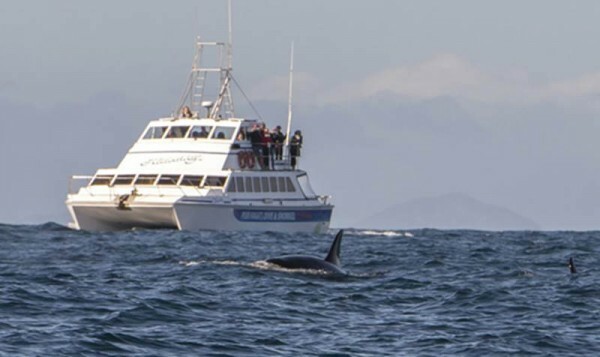 The leading paddlers were even treated to an inquisitive pod of Orca who circled through the paddlers, thrilling several people on board spectator craft as well. 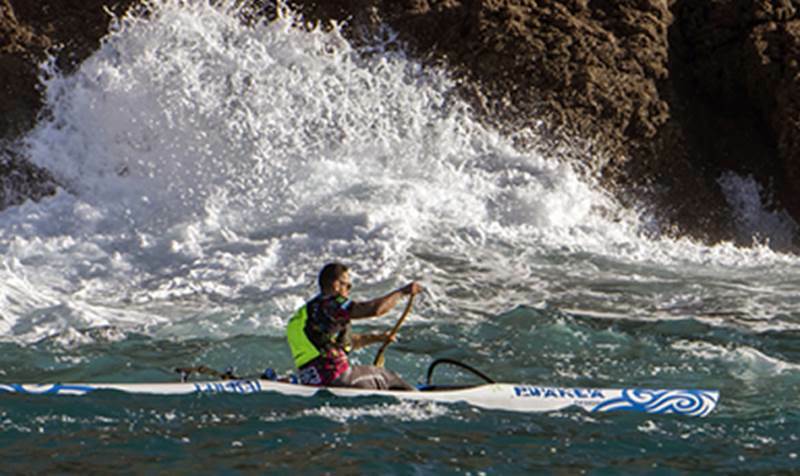 The best of the Northland based paddlers were Brett Fisher, who managed a top 20 finish in the ocean ski fleet, and Stephen Roulston who finished a close third in the waka ama division. 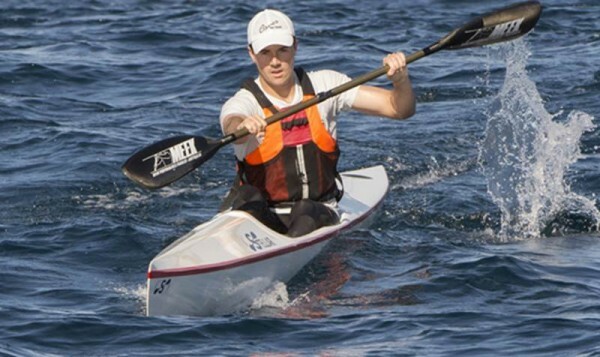 Aucklander Jan Dunlop won the stand up (SUP) race.